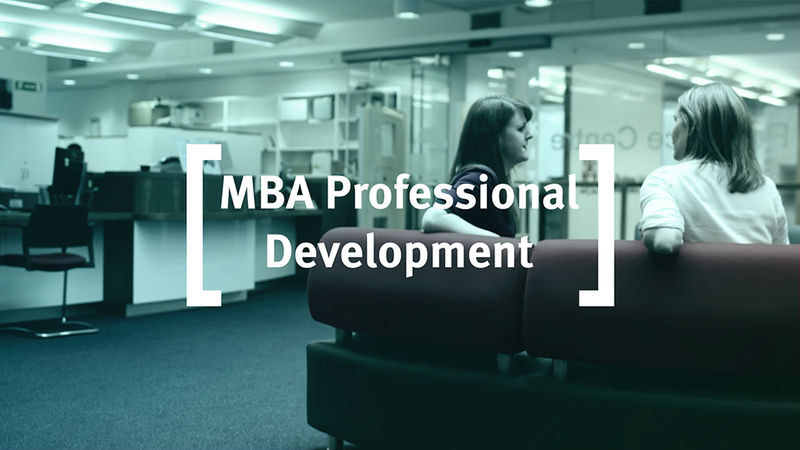 Find out from current students and alumni on how the professional development on the MBA helped them achieve their potential. At the Career and Professional Development Centre our aim is to offer training and guidance in employability skills enabling you to make the most of your MBA and increase your chances in the jobs market. We will guide you on how to prepare and implement your strategy to achieve your own career objectives, whether you are progressing in your current career or changing direction. The support we offer can be tailored to your individual needs and career objectives through our comprehensive range of lectures, workshops, personal advice and online resources. Our self-assessment sessions will help evaluate your strengths, motivations and values, and enable you to relate these to your career strategy. Not only will you gain invaluable business knowledge, key abilities and skills, but also have access to leading careers support and advice. From the start of term you will work with a member of the Careers Team who will be available to support you throughout your time at Cass. In particular, they will help you focus on your job search strategy as well as providing you with expert CV, interview and networking advice. Industry specialists and career coaches are also available to help build a clear picture of your career options. Cass Careers Online (CCO) is your personal career management tool. With everything from booking events to job vacancies, you'll find invaluable assistance to aid every step of your career search. Thursday is the day when you focus on all your career related activities. This could involve conducting networking meetings or informational interviews, researching your target sector or company, writing applications, tailoring your CV, taking part in a mock interview or attending additional workshops in smaller groups.